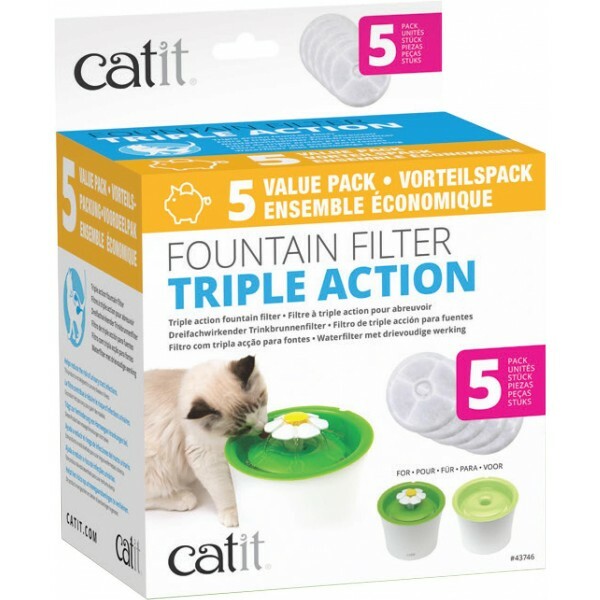 -Set of 5 filters compatible with the Catit Flower Fountain. -Activated carbon removes bacteria and chlorine odors for better tasting water. -Ion exchange resin softens tap water to help prevent urinary tract disease. -Mesh filters out hair, sediment and debris. This product is not designed to cure any disease or illness. 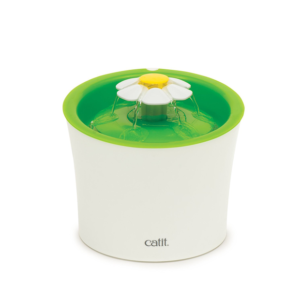 -Removes bacteria and chlorine odors for better tasting water. 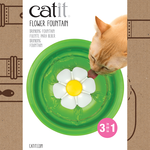 -Softens tap water to help prevent urinary tract disease, which is a common health issue for cats. 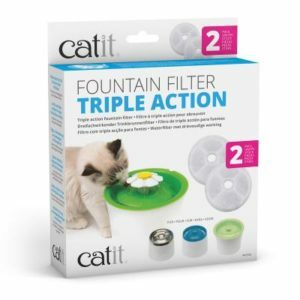 -Filters out hair, sediment and debris. Removes magnesium and calcium from tap water. These minerals can accumulate in your pet’s lower urinary tract and lead to urinary tract diseases, which is a common health issue for cats.